The services we are currently providing are aerification,vertical mowing, sweeping, top dressing and seeding. As well as sod and landscape installations. We can also assist in planning with all of these services in addition to mowing, irrigation, fertilization and fungicide, herbicide, pesticide applications on an annual basis. Our company, Tierra Verde Turf, is a service providing company that is dedicated to creating strong, healthy and safe natural grass playing fields in the most cost effective way for our clients. Although our company is new, our knowledge and experience is not. Combined, Chris and I have over 20 years of experience in working with park directors, golf course superintendents, sports turf managers,coaches, and athletic directors. We have worked with municipalities, school districts, both public and private, colleges and universities of all levels and professionals in football, baseball and soccer. We know and understand the importance of a well conditioned, consistent and safe playing surface for all athletes. 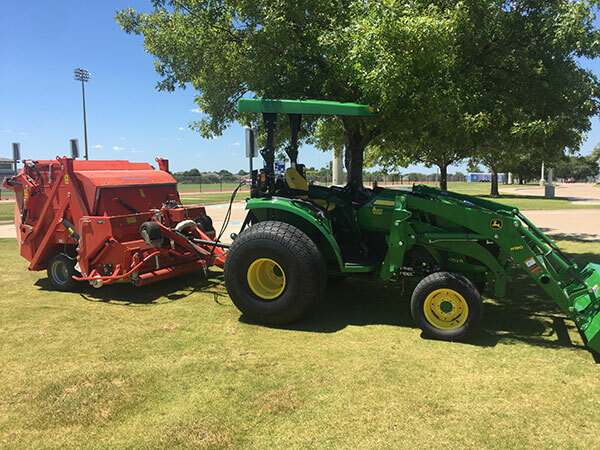 The Turf Specialist Services we are currently providing are aerification,vertical mowing, sweeping, top dressing and seeding. As well as sod and landscape installations. We can also assist in planning with all of these services in addition to mowing, irrigation, fertilization and fungicide, herbicide, pesticide applications on an annual basis.Our company, Tierra Verde Turf, is a service providing company that is dedicated to creating strong, healthy and safe natural grass playing fields in the most cost effective way for our clients. Although our company is new, our knowledge and experience is not. Combined, Chris and I have over 20 years of experience in working with park directors, golf course superintendents, sports turf managers,coaches, and athletic directors. We have worked with municipalities, school districts, both public and private, colleges and universities of all levels and professionals in football, baseball and soccer. We know and understand the importance of a well conditioned, consistent and safe playing surface for all athletes.